Can the Vitalize Hair System Give You Thicker, Fuller & Healthier Hair in 90 Days? Finding a solution to combat hair loss can be just as stressful as going through hair loss because there are numerous products available claiming to regrow hair. Topical treatments for hair loss can be purchased over the counter and medicated treatments have to be prescribed by a doctor. Most of these treatments aim to retard androgenetic alopecia. Androgenetic alopecia is caused by having a genetic predisposition or sensitivity to androgens in the hair follicles. This type of thinning leads to hair loss in the crown, front, and temporal regions of the scalp. I do not recommend trying to diagnose yourself with androgenetic alopecia but some signs that you will want observe are parts looking extremely wider than usual, sparse bangs, you can’t cover up the thin area by changing the direction of the part, and the temporal region of your scalp has receded. You may notice short, thin hairs in the front of your scalp. You can look at family members to see if they have hair loss that looks similar but they may be dealing with a separate problem so you would be taking a wild guess. Androgenetic alopecia is one of the most common types of hair loss and never goes away. You can reduce the amount of hair loss by starting treatment as soon as you are diagnosed so that you can slow down the hair loss process. You will have to use a treatment for this type of hair loss forever. Minoxidil is almost always recommended to reverse the effects of androgenetic alopecia, but people are looking for effective products with natural ingredients that reverse their hair loss instead. Vitalize Hair is a three part system designed to combat androgenetic alopecia, reduce breakage, and moisturize the hair and scalp. Vitalize is the alternative to minoxidil for people who want a drug-free product, with healthy ingredients to restore hair loss. This product combats thinning from three different angles. The Vitalize Hair Skin and Nail Vitamin is a supplement for healthy hair and body, the Vitalize Follicle Stem Cell Serum activates the hair follicles stem cells to enter the hair growth phase, and the Vitalize Hair Treatment Oil moisturizes your hair and scalp. How is Vitalize different from Minoxidil? According to Eric Brown, founder of Vitalize Hair System, the Vitalize Follicle Stem Cell Serum “contains the active ingredient Redensyl; Women's Rogaine contains the active ingredient Minoxidil.” Vitalize says Redensyl targets hair follicle stem cells to enter the "growth phase" of the hair cycle. This breakthrough in regenerative medicine is clinically proven to promote thicker, fuller more beautiful hair”. How does Redensyl grow hair? Redensyl contains two patented molecules called DHQG and EGCG2. DHQG is responsible for activating follicle stem cells to work efficiently and stay in the hair growth cycle longer. This means that DHQG can prevent the hair from turning into thin, fine, miniaturized hair, and help the hair remain thick and strong. Simply put, DHQG is supposed to stop hair follicles from shrinking. EGCG2 molecule reduces inflammation, which can help prevent hair loss. Vitalize Hair System does not contain alcohol, which can be drying to the scalp depending on the type of alcohol found in the topical treatment. What are the side effects of Redensyl? There are no known side effects from using products containing the active ingredient Redensyl. There are, however, common side effects from using Minoxidil include burning or irritation of the eye, itching, redness or irritation at the treated area, as well as unwanted hair growth elsewhere on the body. Severe allergic reactions include rash, hives, itching, difficulty breathing, tightness in the chest, or swelling of the mouth, face, lips, or tongue, chest pain, dizziness, fainting, tachycardia (rapid heartbeat), sudden and unexplained weight gain, or swelling of the hands and feet as well as temporary hair loss says Eric Brown. What other ingredients in the Vitalize Hair System are beneficial to my hair and scalp? Vitalize contains green tea which prevents hair loss and promotes hair growth, caviar extracts to moisturize and regenerate the scalp, silk amino acids which preserve the moisture of the hair and scalp and keratin which strengthens the hair and scalp. Why should I use the 3-part system instead of just using the Follicle Stem Cell Serum? 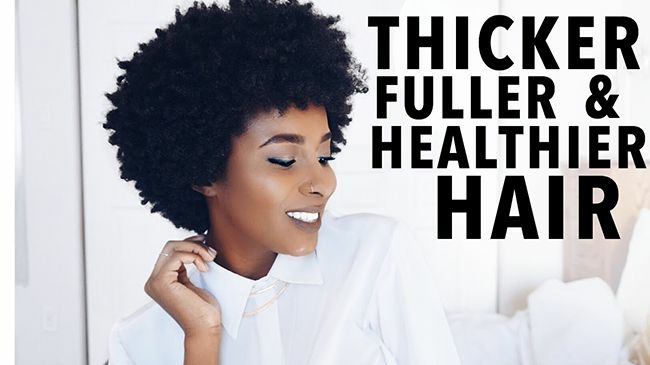 Eric Brown explains, “in order to address hair thinning, hair loss while improving hair volume, texture and shine a customer will need to use all three products. Vitalize Hair System is a "root to tip" solution drawing from the highest quality ingredients. Using the whole system will give you the optimal results for hair growth and hair repair. How long does it take to see results from the Vitalize Hair System? Eric Brown says “we have received user testimonials that highlight visible results through consistent daily use as early as 2-3 weeks. Will Vitalize affect my hairstyle in any way by wetting my hair and scalp? No. This is a feature that makes Vitalize Hair superior to minoxidil. Use of the Vitalize Hair System does not affect a user’s hairstyle. In fact, both the Follicle Stem Cell Serum and the Hair and Scalp Treatment Oil are lightweight and fragrance-free. The Serum is massaged into the treatment area only while the Treatment Oil is applied to the scalp for moisture and to the hair for shine. How often should I use the Vitalize Hair System? To use the Follicle Stem Cell Serum you need to apply it directly to the scalp and massage into treatment areas once daily. The Hair & Scalp Treatment Oil should be applied to wet or dry hair for shine when needed. You can apply this same oil to the scalp for moisture as well. For the Hair, Skin and Nail Supplement, take two capsules daily with water on a full stomach.